I’ve always been a bit cynical. I’m not a rare breed in that sense; the beer world has many stubborn, cranky cynics. We’re the ones shouting at you to get off our lawns with your sour, hazy, glittery slush stouts as we rock cantankerously back and forth on the porch with our pint glasses full of clear, reliable IPA. But even the most hardened beer traditionalist among us can look forward to summer. In summer, we can rise from the ashes of our self-loathing like a magnificent, tipsy phoenix. Even if for just a season, we can crack a smile and enjoy the sun on our face while the bubbles of an unfamiliar brew caress our puckered lips. 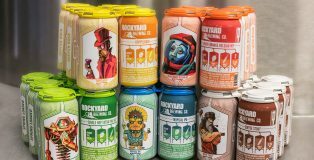 In that spirit, Colorado’s Rockyard Brewing Company is showing us how it’s done. Shedding its skin and undergoing a major renewal of its own, the brewery has done away with ALL of its award-winning original lineup. When Punxsutawney Phil emerges from his slumber, the fate of the winter is in his furry little paws. Will spring come early, or will winter be sticking around for six extra weeks? This change in season doesn’t only affect the weather but also the beers that we’ll be drinking. Northeast Region Editor Dan Bortz and writer Constance Del Rio are about to engage in a verbal Battle Royale about whether or not they’d like the groundhog to see his shadow. 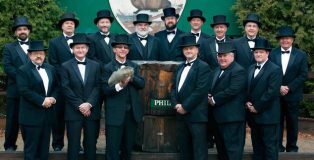 This is the Great Groundhog Day Showdown! Summer may be coming to a close but that doesn’t mean the temperature has let up. Here in the San Francisco Bay Area we’ve been bombarded with unseasonably stifling heat and sticky high humidity. This has meant that light beer has been a major staple in my refrigerator. Lagers, pilsners, session IPAs, and Gose are not normally in my wheelhouse but I’ve come to appreciate their low alcohol crushability. The dog days of summer are upon us. With every drop of sweat comes a need for refreshment, and what better way to achieve that relief than with a beer? The citrus-laden and coconut-flavored brews are just begging to be enjoyed under the summer sun. 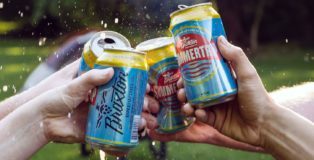 Here are six summer ale selections to help carry you through July and onto the season’s dog days. 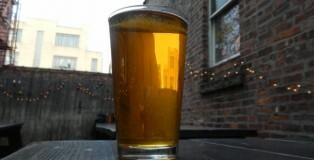 Featured image courtesy of Braxton Brewing Co.
For most, the hot summer months mean moving to lighter beers. 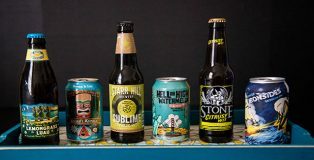 It makes sense that a light, crisp, refreshing beer is better when you are in the sun, but that doesn’t mean you have to default to a light lager or blonde ale. Many other styles fit the hot summer months just as well, such as sour craft beers. And I am not talking about the traditional sours like lambics but rather kettle sours (aka quick sours). 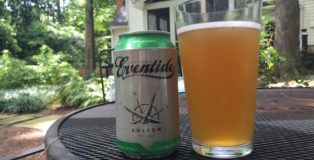 There’s been a huge influx of this type of beer and I think they are a great fit for a hot summer day because they offer low ABV, are ideally drank cold, and provide a crisp, refreshing taste that fights off the effects of the hot summer sun. Here in Cincinnati, we have a lot of great options that fit this style. Plus, these beers are easy to bring along when you are enjoying the outdoors. Here are five of my favorite Cincinnati summer sours. I am grumpy and thus, I pen today’s beer showcase in the spirit of protest. This is me standing up out of my chair, going to the window and yelling, “I’m as mad as hell, and I’m not going to take this anymore!” Or, something like that. 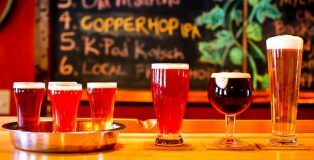 When I think about amazing craft beer, Nevada never really came to mind until a couple years ago when I found two amazing breweries out of the state mainly known for Vegas and deserts. During the 2014 Great American Beer Festival, I stumbled (figuratively, not literally) across both Brasserie Saint James and Joseph James Brewing. 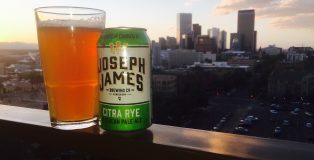 Joseph James Brewing’s Citra Rye APA has got quite a bit of praise, including a GABF medal in 2013, Men’s Journal Best Beers in America, and from craft beer drinkers like me. Must yield to nappy ale. I couldn’t let Northern California have all the fun. 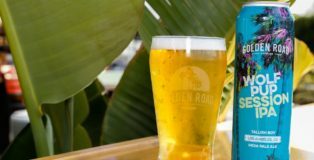 Check out my California Summer Sixer list with the best of what Southern California breweries have to offer this summer season. All beers listed are currently available with an ABV of 5.5% or lower. The average ABV for this sixer is also 4.7% – perfect planning, if we say so ourselves. Tulips and Blonde Beer. The first two things that come to mind when I think about spring in full swing. For Mother’s Day weekend, the family and I took a lovely trip to Holland, MI to attend the Tulip Time. Michigan in general has some of the most exciting craft beer on the market, so naturally I wanted take advantage of our adventure and drink as the locals drink. 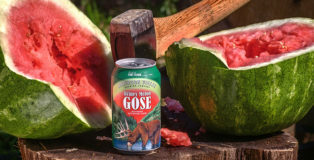 Last summer was my introduction to the gose style, and my first one was Anderson Valley’s Blood Orange Gose (also a beer I highly recommend). 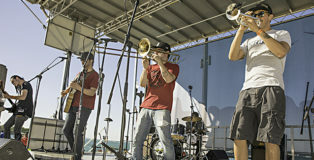 I immediately became a fan, and started seeking out others in the gose style. 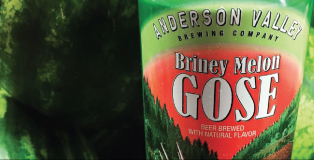 That soon led me to another from Anderson Valley, the Briney Melon Gose. 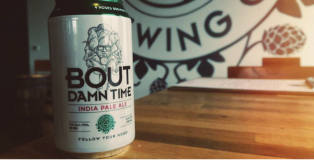 At the time, it was only available in bombers, but this year they started distributing it in six-pack cans… and we’re all better off because of it. With a fun, easy-drinking summer beer like this, cans that you can throw in a cooler and take to a barbecue to share with friends are the only way to go. Have you seen the news lately? Summer refuses to relinquish its reign over the east coast. 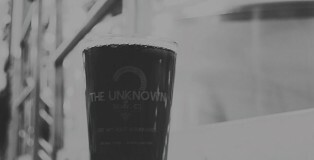 Personally, that just means more opportunities to pop the top on The Unknown Brewing Co.’s Hospitali–Tea Southern Amber Ale! One of my favorite spring beers was Waldo’s Special from the Lagunitas Brewing Company One Hitter Series. 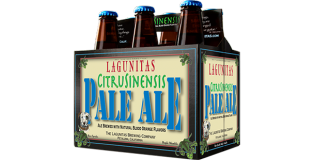 Lagunitas has another homerun with their citrus pale ale, a perfect summer beer called CitruSinensis. CitruSinensis was created using “Fresh Sanguinello Blood Oranges inside a Wheatier version of Dogtown Pale(ish) Ale.” Jeremy Marshall, head brewer, stated “we add blood orange juice to the secondary that is just juice so no extract or flavoring. We also let the juice ferment.” This beer was first introduced June 2015 and remains available on tap and 12oz 6 packs. Being part of the One Hitter Series, this is a limited beer that will not last long. 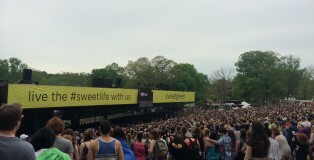 It’s summertime! Sunshine, pool parties, cabrewing, and most importantly, delicious summer beer! 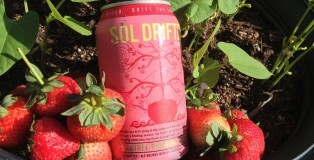 Madtree’s Sol Drifter will take all of the great things of summer and put them in your mouth. 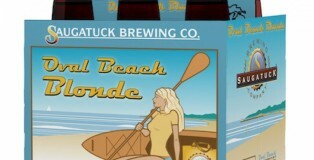 A sessionable blonde ale brewed with strawberries that is a refreshing tasty beer that everyone can enjoy, and it comes in a pink can, so ladies, you got that going for you. Craft beer has been my pride and joy over the past year and the beers just keep on coming. The only problem with this is that I find myself only buying craft beers – meaning I hit the title of “beer snob”. This is not an entirely bad thing, but I feel like I am not being fair to all the other beer out there – which is just not cool. 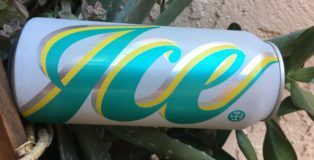 Now, I do realize that Sol from Cervecería Cuauhtémoc Moctezuma, S.A. de C.V. is not a typical beer that we would write up on PorchDrinking, but it is one that I personally enjoy, and absolutely love on a hot summer day. 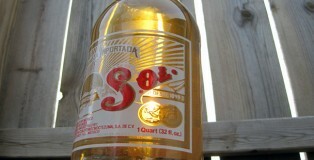 Sol, which means sun in Spanish, is a Corona-like beer, but is one that not as many people have learned to love and enjoy. For a brief history click here.